Van Egmond Universal Potting Substrate is composed of high-end raw materials, providing the right aeration and moisture ratio for your plants’ root system. Lime and standard fertiliser are also added to the mixture, ensuring that your plants have the right amount of main and trace elements available during the first 4 to 6 weeks. This makes Van Egmond Universal Potting Substrate suitable for houseplants and patio plants but it can also be used for borders, balcony plants and perennials. 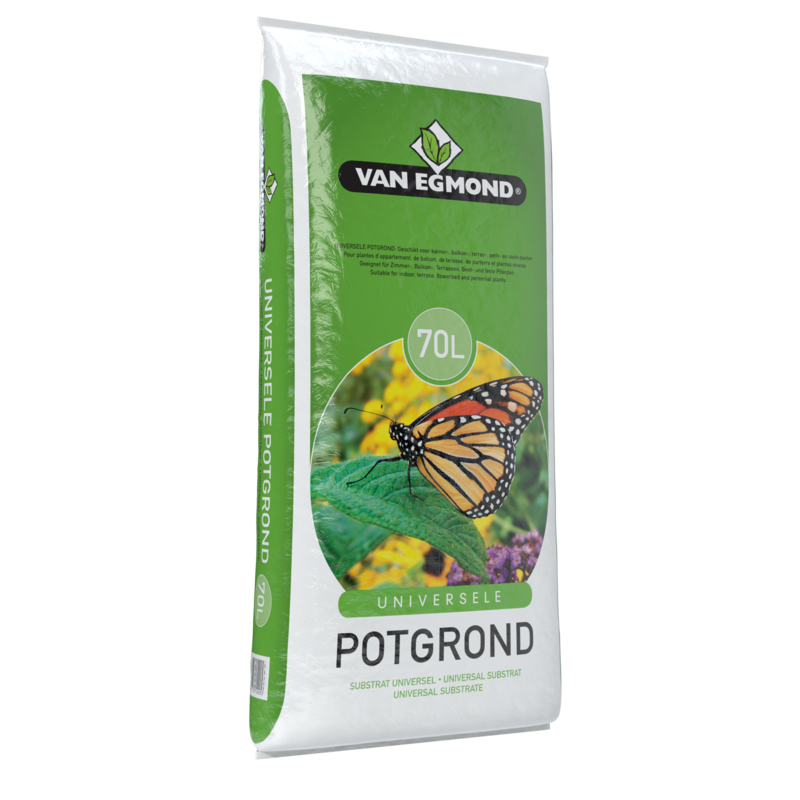 Van Egmond Universal Potting Substrate is available in bags of 5, 10, 20, 40, 50 and 70 litres. Order universal potting substrate directly through our order form!